The set that I'm giving away is the Autumn Glam version. It comes with the Blythe doll, pet, doll stand and other accessories. Chick really likes this set but she has had so many toys just recently that we have no room left for anymore!!! It would be great either on it's own or used with the other Littlest Petshop sets. Closing date is Friday, 6th January 2011. Good Luck! Beyblade stadiums and tops are available to buy from Toys R Us. Prices start at £7.97. Reviewed as part of the Toys R Us Toyologist programme. The game comes with different levels of cards from beginner to expert. Using the grid and placing the crates in the positions indicated on the cards, you need to tip the crates over to create a path from start to finish. 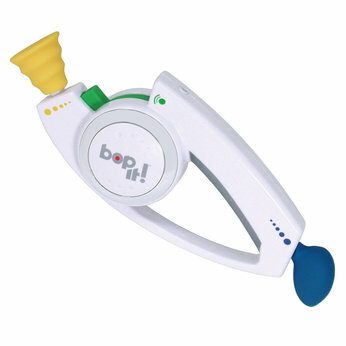 We took this away on holiday with us for the girls to play and they struggled to understand what to do without our help. It also took us a while to figure it out!!! Once we had got it the girls were ok with it but Chick didn’t really enjoy playing it and she found it too hard. The Punk was more interested but that didn’t last too long either. 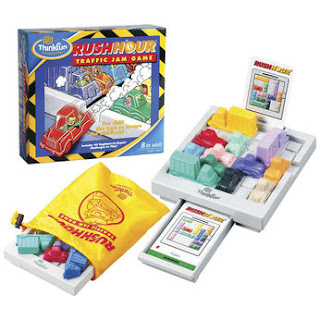 The other game that we were sent is Rush Hour and is based on similar rules to Tipover, with this one however you need to escape the gridlocked traffic. Remember that you can ‘like’ Toys R Us on Facebook to read all the reviews from the other Toyologists as well as some fabulous Competitions! Get creative and make funky jewellery with the Twist and Spin Jewellery Maker! 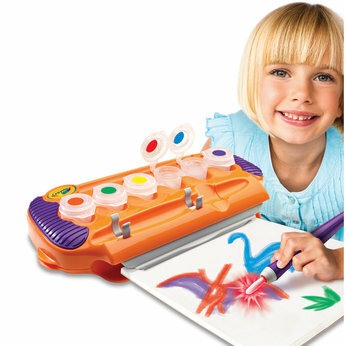 Create stylish necklaces, bracelets and hair accessories at the touch of a button with the twisting and spinning motion. Includes over 100 beads to create necklaces, bracelets and hair accessories. 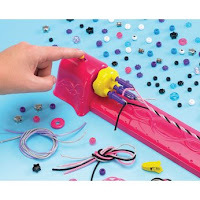 This set comes with a Twist and Spin jewellery maker unit, threader, clamps and fastners as well as plenty of cord and over 100 shaped and coloured beads and of course an instruction leaflet for simple folk like myself. We found this a little bit fiddly to get started but once we’d made the first one, subsequent necklaces, bracelets and hair accessories were much easier. It’s aimed at children aged 7+ and I think that’s about right as younger children would definitely struggle. Chick needed my help with each thing that she made!! Available from Toys R Us at £19.99. Create cool bracelet bands with this fabulous craft set that includes 100 letter, number, and symbol blocks to choose from, so you can customise your bracelet with your name, or anything you want! 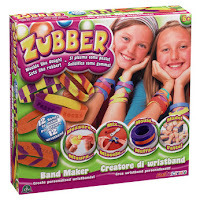 Zubber is a great new modelling compound that moulds like dough, and hardens like rubber! I have to be honest and say that we have really struggled to get along with this. Initially I thought that Chick would really like it so put it away for her birthday. I’m not sure if it’s toy fatigue on our part or if it’s just because it seems so fiddly. To make the band you need to measure some of the mixer and activator, put the letters and shapes into the band mould and then add and roll the mixture to the band! It sounds quite simple but we just can’t do it although that may well be laziness on our part!! It’s aimed at children aged 5+ but you would definitely need to help them!!! Remember that you can join in the Toys R Us fun on Facebook. 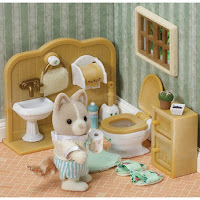 *Reviewed as part of the Toys R Us Toyologist programme. Become the master of skill precision racing and stupendous stunts with this amazing Air Hogs Vectron Wave. You’re the driver, the pilot and the master of control. Eliminate the need for a remote with this flyer, the vectron wave uses altitude sensing technology and effortlessly glides over almost anything. 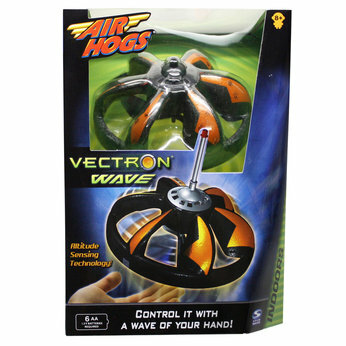 Control it with a wave of your hand and watch in amazement as it magically hovers above it. Why not grab a friend and play the ultimate game of catch! When your done dock it on the launch pad for easy charging. As you can see from the video, it took me a while to figure out how this works but the kids got it straight away! We all loved this.....adult and child alike...in fact there was almost a fight over who got to have a go first! Obviously the oldest (ahem......me!) wins!! It is the coolest thing as you control it with just a wave of the hand! Apart from being a lot of fun what I liked about this was that it was made out of really lightweight material and sooooo easy to charge up......always a bonus when you have kids desperate to play with something. Also if you catch it incorrectly like some ridiculous 34 year olds did (ahem.....again ;-) then it doesn't hurt like I imagine some of these things could, again a bonus when you have younger children. This comes thoroughly recommended by Chick and I as well as After School Club. Available to buy from Toys R Us at £29.99. Remember that you can also like Toys R Us or Me on Facebook!!!! I have to be honest and say that I've never heard of Phineas & Ferb before but my daughter assures me that they have their very own show over on the Disney channel! This secret journal is right up Chick's street as she loves writing and is constantly scribbling away! The fact that she can keep it a 'secret' from me also amuses her greatly! 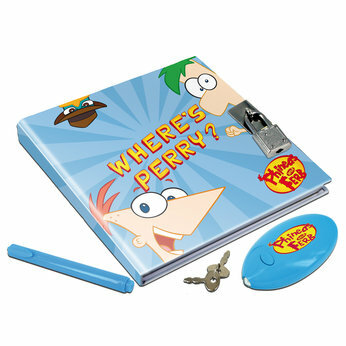 The journal comes with a lock and key, a UV pen and a UV reveal torch which means that even if she writes in the diary I can't read it anyway as she has hidden the torch away from me!! I would be more than happy to buy this for her as like I say it's just the kind of thing she is after constantly to keep up with her writing. At £7.99 I think this is a very reasonable price especially as it comes with the 'secret' pen and torch!! I'm sure that you've all heard of Sylvanian Families and seen the amazing sets that you can buy along with extra sets like this one that you can add to it. The big sets include a windmill and houses. I remember my step-sister being into these years and years ago and not much has changed. She was so excited when she first got this and initially she played with it all day. Since then it has languished in the Barbie box with the little pieces never to be put together again! I do think that it's a cool toy if your child is into them or dolls houses as the bits would be interchangeable!! Available from Toys R Us at £12.99. Remember that you can keep tabs on all the Toys R Us updates on Facebook. They are so realistic as they scuttle across the floor that you will want to lift up your feet and run away from them!! It moves along by vibrations, makes a buzzing noise and can flip over by itself. Chick has made mazes for them, watched them flip over and chased them around the kitchen for hours! A word of warning though......they are sneaky little suckers and scuttle into the tiniest little places, hence I've had to retrieve them from under the fridge, down the side of the washing machine and Chick knocked over a whole shelf of CD's trying to get one back from under the TV!!!! Obviously because they are such a menace Chick and her cousin absolutely adore them!! 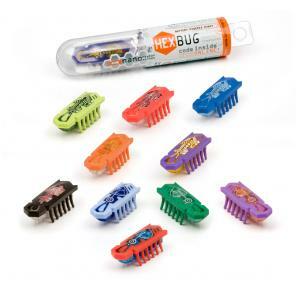 As well as the single bugs, you can also buy them in collector packs and just in time for Santa coming you can also buy their 'habitat', bridges and cells too! Each bug comes with it's own unique code which you enter online and keep track of your collection. Closing Date is Friday, 17th December at 5pm and I promise to try my best to post it out on the 18th so that you'll have it in time for Christmas!!! This was another one of the toys that I gave to Chick's After School Club to review although the photos mainly feature Chick as I didn't have permission to take pictures of the other children! Available to buy from Toys R Us at £34.99. Don't forget to 'like' them on Facebook to keep up to date with all the latest reviews and competitions!!! 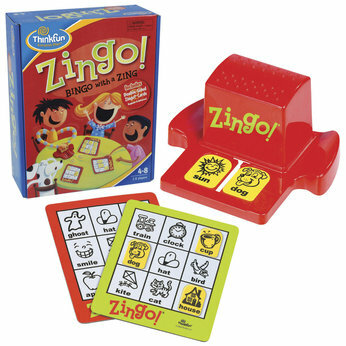 Zingo is a completely awesome game!! I donated one each of these to the Nursery and the After School Club. 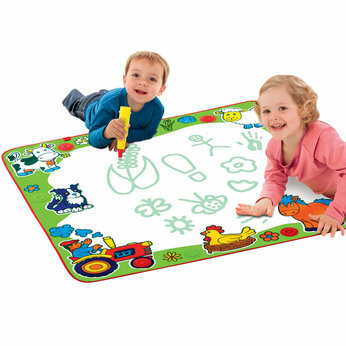 Not only is it a fun game but educational too and great in the above settings as it's colourful, durable and very easy to clean. What surprised me about this game was that it was the boys that swarmed towards it and all played together. It's aimed at 4+ but I think that younger ones could play as well. It was great to see that the older boys enjoyed teaching the younger ones how to play and I was amazed that they all played nicely together!! I thoroughly recommend this and at £12.99 it's definitely affordable and great value! These also appear on my Top Ten for Christmas List! If you are caught by the tentacles then the Octopus stops spinning and sits and laughs at you!!! A bright colourful toy which the children really liked playing with. The only downside that I can think of with this is that the crabs are very small and (at least in our household) are likely to be lost the more they play with it!! 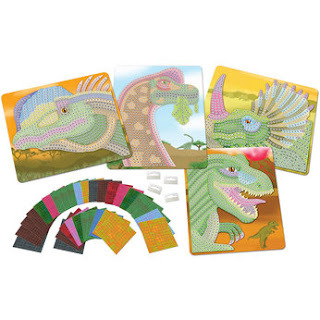 Sticky Mosaics – Dinosaurs £14.99 - This cool mosaics by numbers playset contains everything you need to make awesome dinosaur works of art. Includes 4 scary dinosaur designs, or create your own designs! I’m sure that you all remember just how much we loved the Unicorns and Ponies version of these and the dinosaur ones are just as good. My 8 year old cousin tested these but he wasn’t at all convinced that he was going to like them as they look ‘like they are for girls’!!! I’m pleased though that his Mum reported back that he had played with them all afternoon and made some great pictures. 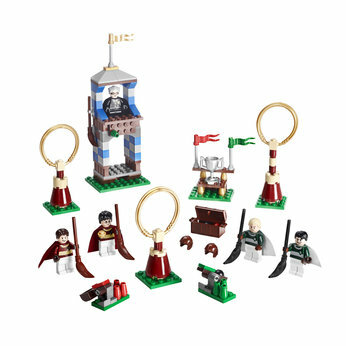 Harry Potter Lego Quidditch Match - £19.97 - Have some construction fun with this Lego Harry Potter Quidditch Match set. Catch the Golden Snitch and win the match for Gryffindor! Now I love Lego as much as the next person but I tend to think that it’s quite overpriced for what it is. 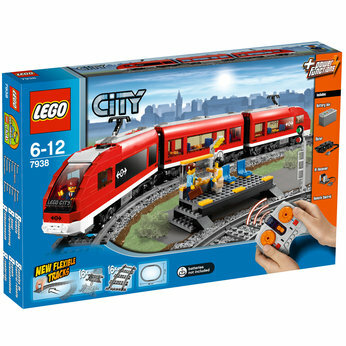 As Sherod said when he reviewed the Lego City Passenger Train, when we were kids Lego just came in a big bag and you used your imagination! When I first saw this I was rather sceptical but actually we had loads of fun with it. It includes 5 minifigures - Harry Potter, Oliver Wood, Draco Malfoy, Marcus Flint and Madam Hooch. Spectator stands feature seating for Madam Hooch and a hole for Quidditch players to fly through! Lots of accessories including brooms, Quaffleand Bludgers, Golden Snitch, chest, three goal posts, catapults and a Quidditch trophy. As fun as it was I wouldn’t spend £20 on it but only because Chick isn’t really into it. If your child is then I’m sure it’s worth the money and brilliant if you can add it to the other sets and the Hogwarts Castle which really does look amazing. Both the toys above are available from Toys R Us in store. 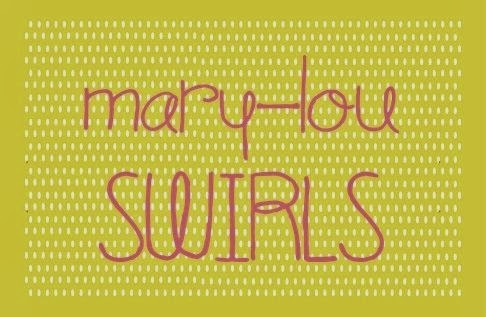 You can also like them on Facebook to find out about special offers and competitions!!! 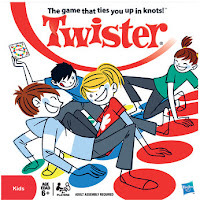 Twister – Who doesn’t love Twister? It’s a fabulous game that all the family can play and we have spent the last week being contorted into various shapes with our bottoms stuck up in the air!!! Obviously it’s more fun if there are more of you but Chick seems to find it amusing enough to spin the board and watch her Dad and I fall over a lot! All the pictures that she took of us playing this are quite horrific so I’m not sharing!!! Another one that we’ll be using with the rest of the family on Christmas day although may be not straight after dinner. Available from Toys R Us at £11.97. 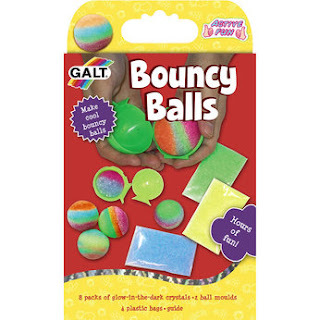 These were reviewed as part of the Toys R Us Toyologist programme. You can find out about special offers and competitions on their Facebook page. This is a lovely review from Chick’s best friend Miss.C. and her Dad!!! 9 AAA batteries - Yes , that is not a mistake – 9 !!!! I was very surprised with the number of batteries this takes. There are 3 batteries in the remote control and 6 more in the train itself – but this really is my only negative point. You get 7 bags of lego and 4 instruction books that make up the main battery powered train, the passenger carriage and the end loco/carriage train as well as a station platform. There are a couple of passengers and the train driver to make as well. 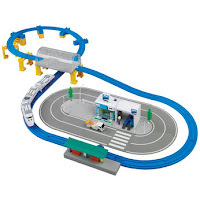 Being used to playing and making wooden train tracks recently, I was pleased to see that the track has a lot of flexibility to it, even though this set is a basic oval shape, it would be very easy to connect other lego train tracks to it make it longer and more interesting. One good point is that the people at lego have kindly supplied a few spare parts with the kit. At first I thought that I had assembled it wrong and missed a few little pieces off, but on further examination I find that they have given extra small pieces (such as single piece plastic lights) as they probably know from their years of experience that these are the bits that will get lost first. Being a big fan of lego since I was a kid, I have been disappointed in recent years as all the lego boxes I see in the shops come in a lot of ready to make items (such as the train and city sets) – whereas I was from the 80’s group of kids that just got a huge bag of all shapes and sizes of the stuff and let my imagination run riot. With that in mind I wasn’t sure I would be that enthused with the project, but I soon got into it. All in all – a worthwhile endeavour to build and to play. I remember (years ago!!) 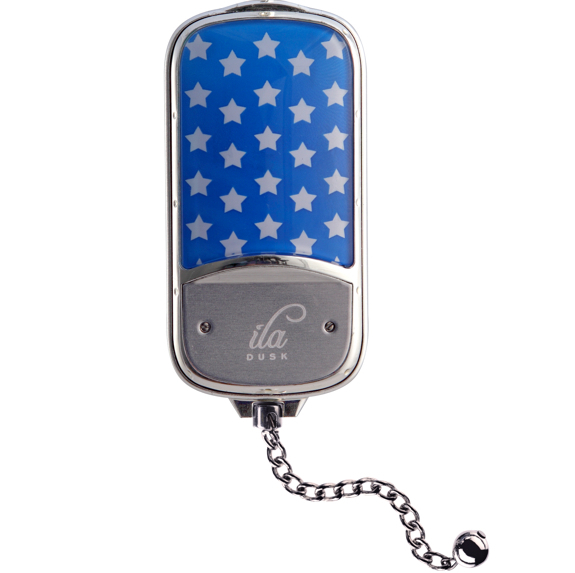 when I was a teenager I had a personal alarm that was huge and mainly ineffective as it was always stuck in the bottom of my bag, so last week when I had an e-mail asking me if I would be interested in reviewing an Ila product I was a little unsure! However in a recent survey by YouGov, 68% of women expressed a concern about their own personal safety so I figured I'd better have a look at their on-line brochure and soon discovered that they have some fabulous products. There is a handbag charm that acts as a personal alarm and shrieks when you pull the chain. The hook is a compact mirror that unravels and can be hooked around your handbag to keep it safe or the Ila Sport which is the product I chose for them to send to me. What I like about all the products is that they are fashionable and don't look like your traditional safety alarm. The compact mirror and the handbag charm come in a variety of patterns and colours including stars, flowers and black leopard print. What a refreshing change from the usual clunky tradition. So as I said above, I was sent the Ila Sport. 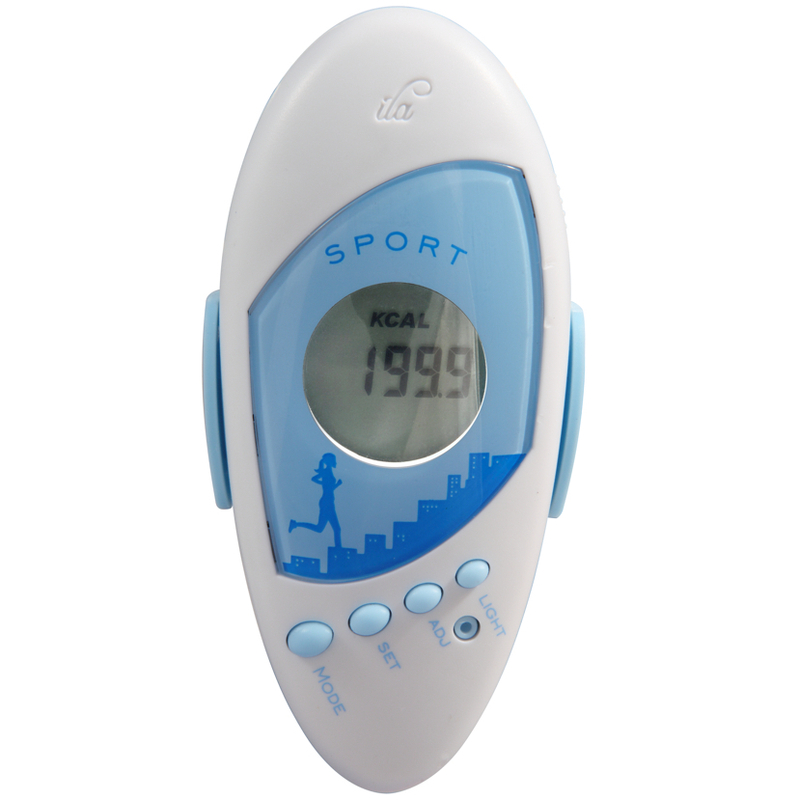 Not only is it a personal safety alarm but it also a pedometer which can count steps or distance travelled. 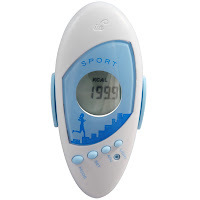 It has a clock and a backlight on it as well and is perfect for running. One thing that I always disliked when I was marathon training was running in the dark but I went for a run wearing this and did feel much safer. It's not only for joggers but would also be fab on these dark nights whilst walking the dog. The alarm is LOUD, holy cow is it loud which is exactly what you need to scare an attacker away but I wouldn't recommend trying it at home! You can turn the alarm off as well when you are warming up or cooling down so that it doesn't go off unnecessarily. The Ila Sport retails at around £19.99. It also appeared with an article in the local paper.....cheesy, I know! Tomica Big City Set £39.99 - We felt it would be better suited for 1-2 children at a time, for in the home not really a large nursery group. Disappointing that it only included 1 truck and 1 man that was really quite small. It was fun to watch the tram go round the track and the children all really enjoyed playing with it. 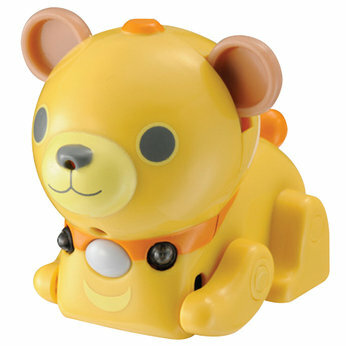 Tomy Aquadoodle Animal Sounds £29.99 - Children enjoyed playing with it and liked how it made noises when you drew on it. 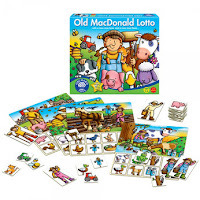 Old McDonald Lotto £8.99 – What a brilliant game, colourful and simple. Children enjoyed playing it, fun and easy. It also sparked conversation about the different things on the board. Crayola Mess Free Colour Wonder Magic Light Brush £19.99- Needed one to one supervision, as needed to wipe brush after using each colour. Couldn’t really leave child to play on own, more suited to 7/8 plus age. They did enjoy seeing the colour appear though. All of the items above are available from Toys R Us. Don't forget to enter my competition to win a Remote Controlled Helicopter open until Friday, 3rd December. * Closing Date is Friday, 3rd December 2010 at 5pm and I'm happy to send anywhere in the world!! I’m sure that most of you remember how much I loved the academic year planner from Dodo-pad!! In fact, I loved it so much that I have a worn copy full of scribbles hanging on my kitchen wall and one by my desk at work. 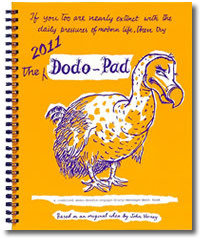 Well, now I have discovered the 2011 Dodo-Pad Diary or as Lord Dodo describes it.....a combined memo-doodle-engage-diary-message-ment book. Obviously not a major part of the swinging sixties there huh?! If you are looking for a different Christmas present this year instead of the same dull old diaries I thoroughly recommend that you check out the Dodo website and look through their ranges! 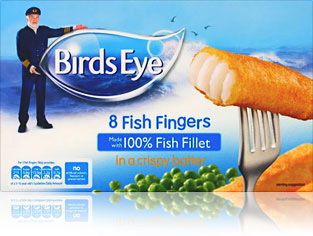 I’ll be buying these for my cousins who are at Uni. The diary retails around £11.50 and is available from the Dodo website, John Lewis, Waterstones and WH Smith. This game is just so much fun!!! 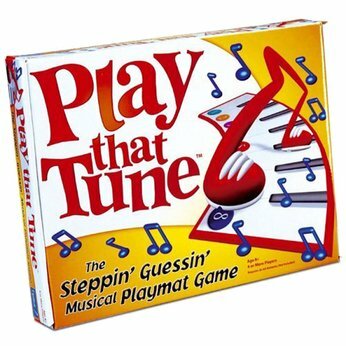 It comes with a plastic musical piano floor mat and we were fighting over who would get the first turn!! 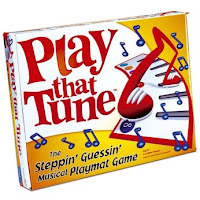 You get 50 'tune' cards with it and I really like the mix of music.....nursery rhymes, pop songs and classics like 'Happy Birthday'. It was good as it meant that both Chick and I knew some songs! 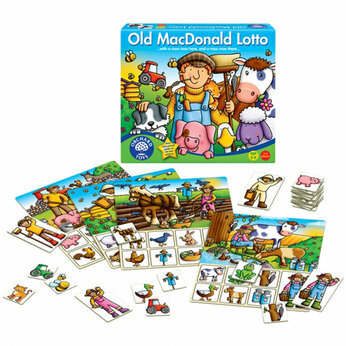 The cards are really clear so could be used by any age and it's pretty simple to pick up. I imagine you've gathered by now that we are Science Geeks in the Brooks household so imagine our joy when this beauty arrived in our last box. 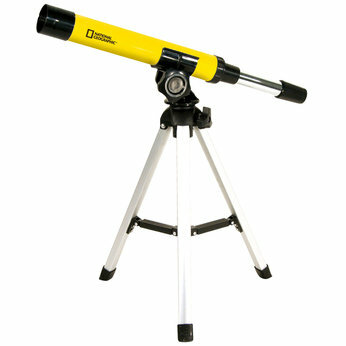 The National Geographic land and sky telescope is perfect for Chick's age because it's simple to put together and really lightweight. It also only costs £12.99 which is an absolute bargain! They both had good things to say about the Telescope but because the weather wasn't so good Grandpa is coming around tomorrow night for a star gazing session!! Bless him!! If I was being fussy the only downside would be that it didn't come with a star gazing book which of course was the first thing that Chick wanted to do with it but generally this gets a huge thumbs up from the whole family! Don't forget to check out Toys R Us on Facebook to see all the other Toyologists review and some fabulous ideas for Christmas!!! This Barbie Glitterizer Wardrobe is ideal for budding fashionistas! From the new movie, Barbie A Fashion Fairytale, this fabulous playset adds glitter and sparkle to your doll’s outfits, accessories and your own personal items in 3 simple steps! Basically you put stickers onto the clothes etc, put them in the Glitterizer and hey presto they come out all sparkly!! In the set there is the wardrobe, a Barbie, a couple of outfits, stickers and of course lots of lovely glitter! I gave this to Chick as her main birthday present and she absolutely loves it. We were lucky enough to have been sent lots of Phillips batteries alongside the toys so I didn't need to worry about remembering them!! The glitter does get absolutely everywhere and we were sparkling more than vampires in the sunlight but I guess that's part of the fun! Chick has added glitter to lots of her Barbie accessories!! It only comes with a small pack of glitter but you can use any kind. 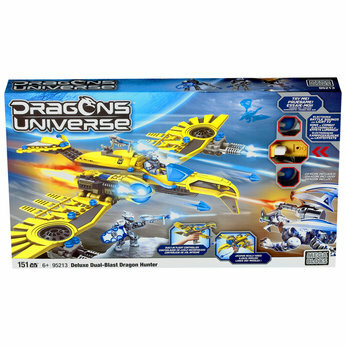 This retails at £49.99 but is still on sale at Toys R Us at the moment. It's quite expensive but I was going to buy this as her main present anyway! Chick says: I think it's very glittery and Barbie looks really stylish but it needs some more outfits! My son Mr.E. 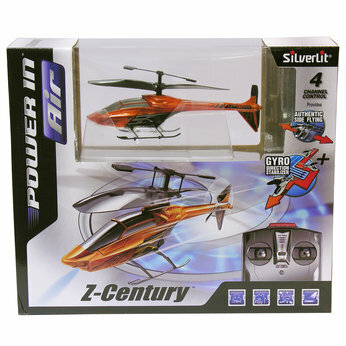 (age 7) really enjoyed playing with these, so much so that he's added them on his Christmas list as he would like more!! I was impressed with how easily Mr.E. could follow the instructions and made them up himself. It was also nice that the batteries were already included and that there is an on and off switch. I think the are value for money and it's good that you can add to the sets. Mr.E's description of these: Brilliant, excellent, fantastic fun to play with, easy to build.......amazing......would like more!! The Dual-Blast Hunter Dragon is available from Toys R Us at £24.97. The add on sets are available from £9.97. My opinion: The first thing that you will want to know about these as a Parent is exactly where the off switch is!!! Within 10 minutes of the kids reviewing them, I was begging them to turn them off because they just don't stop squeaking. The kids claim to love them but since they first opened them they actually haven't touched them!! Would you like the chance to become a Toyologist from now until Christmas? 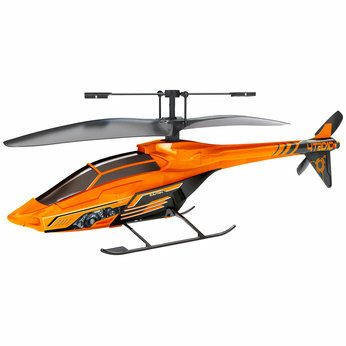 Them make sure you enter the fab competition that Toys R Us are running until 21st November. Those of you that are friends with me on Facebook or Twitter may have noticed that I was a teeny bit excited to have received this in our latest Toyologist box!! It's loud, infuriating, completely addictive and we LOVE it and highly recommend it!!! Available from Toys R Us at the cool and very reasonable price of £17.97. My verdict: They make a great stocking filler and are an okay price. Really simple to make and lots of fun afterwards. Available to buy from Toys R Us at £5.99. Would you like the chance to become a Toyologist from now until Christmas? Them make sure you enter the fab competition that Toys R Us are running until 21st November. A few weeks ago I was invited by Birds Eye to spend the day with them and Amanda Ursell who is a nutrition columnist for The Times. The idea was that I would take 5 items from my kitchen that I always have in (guess they weren't thinking wine ;-) and challenge Amanda to cook a quick, healthy meal. Chef Paul from Birdseye was also on hand to answer any questions and I thought that I could get some starter cooking tips from him as you all know just how terrible my cooking is!!!! I would have loved to have gone as I'm sure that they would have whipped up something amazing but unfortunately I was unable to make it at the last minute due to work commitments. Click here to see what a fabulous time they had without me!!! Sally from 'Who's the Mummy' was also invited and she wrote a post with the tops tips that she learnt from the day! Birds Eye have set up something called the 100challenge, where they have recruited a 100 families to take part in weekly challenges focussing on healthy eating family time and living life to the full. The website at http://www.100challenge.co.uk/ is a really good tool and you can follow how the families are getting on, read their blog posts, get lots of fab recipe ideas and enter their weekly competitions. I'm guessing that you are all wondering why Toys R Us sent me this when I no longer count Chick's age in months???? Originally this was part of the box destined for my local Children's Hospital however as it has three little pieces of fabric on it, the hospital are unable to have it on the wards due to infection control. Being the lovely person I am, I donated it to a friend of mine that has a one year old!! There wasn't anything that they didn't like about this which is always a bonus and at £14.99 was something that they would have bought themselves. - Very durable and after being dropped from a great height several times as well as bashed about is still as good as new!! - Big chunky parts are fabulous as Lara could handle them with ease and chew on them without swallowing anything! A big thumbs up from Lara and Mummy and Daddy. 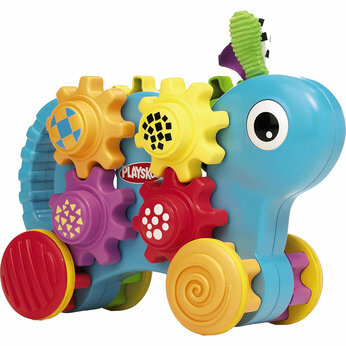 The Push N Stack gears is available from Toys R Us online and in store, you can also follow them on Facebook.